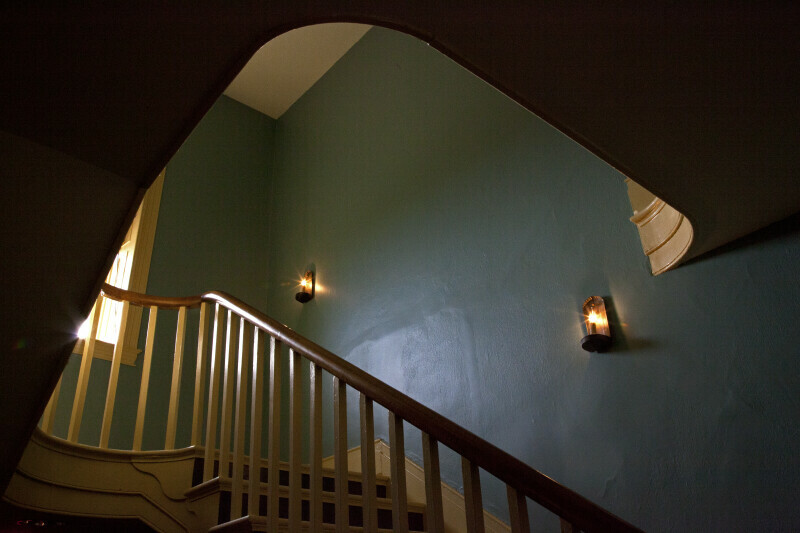 This is a dimly lit staircase, at the Lemon House. There are electric candles on the walls. There is a window part of the way up the staircase, at a landing. The Lemon House is listed on the National Register of Historic Places, as part of the Allegheny Portage Railroad National Historic Site. WARNING: You are about to download a 50.3 MB TIFF!